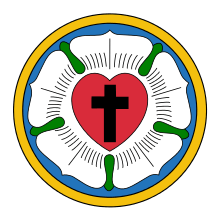 The Association of Confessional Lutheran Churches (ACLC) was established in the early part of the 21st century to meet the needs of Lutheran congregations that departed from the Evangelical Lutheran Synod when they considered a pastor to have been wrongly removed by that body. The root purpose of the ACLC, then, is to maintain a pool of pastors from which member congregations can call. There are five member churches. ↑ "History of the ACLC".